For almost fifty years, Colin McEvedy’s pioneering atlas of medieval history has been an important resource for students interested in the history of Europe, the Mediterranean and the steppe lands to the east. The latest edition, The New Penguin Atlas of Medieval History, is a useful tool for understanding Bulgarian history in a broader geographical context. The genius of McEvedy’s approach springs from two organizing principles in his work. First, he stakes out a territory including border regions that significantly impact Europe in the middle ages. This makes it easy for the reader to follow both European developments and neighboring pressures and movements that impact the flow of events in European history. Second, he employs linguistic groups instead of political affiliations as the key to illustrating divisions between social units and the emergence and evolution of nations. 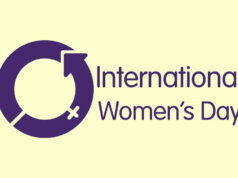 After all, “languages are the pedigree of nations” (quoting Samuel Johnson). The atlas includes forty seven maps plus commentary describing the period generally considered under the title Medieval, from the reign of Constantine (early 4th century) to the beginning of the age of exploration (late 15th century). Divided into six sections, each map provides a snapshot of Europe as time marches forward. Supplementary maps describe the spread of Christianity and later Islam (the major religious cultures defining the region), economic development, population changes and exploration of the wider world. Bulgaria makes its debut on this stage in the early 7th century. McEvedy traces the borders of the Khanate of Great Bulgaria, events leading to its disintegration, the movement of Bulgar remnants and the ultimate establishment of a new Bulgar nation on the Danubian plain. 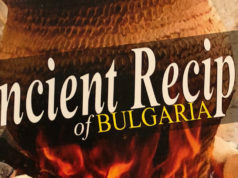 He also records the ebb and flow of Bulgarian fortunes throughout the turbulent times of the First and Second Bulgarian Kingdoms, including the conquest of Bulgaria by invading Ottoman Turks near the end of the era. As expats in Bulgaria all of us hear a version of Bulgarian history that is a mixture of conquest, intrigue and political maneuvering. Medieval Bulgaria is celebrated as a the high point in Bulgarian history, a time when Bulgaria was militarily strong and culturally advanced, in many ways on par with the Byzantine empire of the day. McEvedy includes many of these details in his atlas, but the canvas on which he paints them lays out Bulgarian history in the larger context of European development, rather than at its center. In that light Bulgaria looks rather more like a sideshow than the main event. Our Bulgarian friends will certainly take exception to being shunted aside with so little effort. Like all of us, McEvedy brings presuppositions to bear in his work. As a Brit, he would have been less focused on Balkan, Eastern Orthodox , and Bulgarian events than those of people and places closer to home. His viewpoint is almost certainly colored to some extent by origin. Nevertheless, it seems that even at its peak, the storied tales of the Bulgarian past are more the result of attentions being placed elsewhere than they are the result of great power concerns for this small corner of the world. McEvedy, Colin. 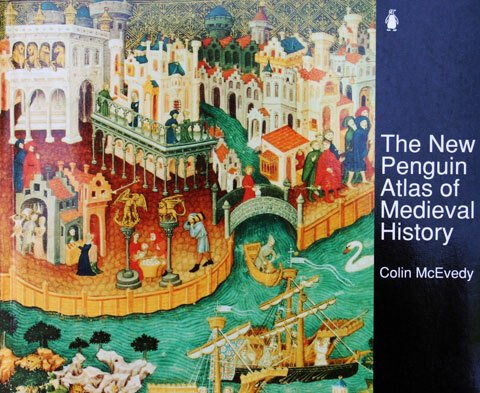 The New Penguin Atlas of Medieval History. London: Penguin, 1991. The atlas consists of a single base map of Europe, North Africa and the Near East, with divisions, data and movements overlaid to illustrate specific dates in time. In this way the author illustrates the progression of history in a series of snapshots supplemented by more specific data when appropriate.